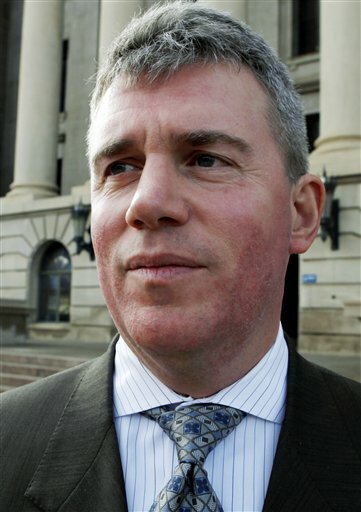 DENVER – Nearly a million Colorado residents are getting mailers encouraging them to register to vote in what Secretary of State Scott Gessler said Tuesday is “the largest voter registration effort” in state history. Gessler said the mailers will reach about 961,000 people who are likely eligible to vote but aren’t registered. Statewide outreach efforts also include television, radio, and print advertising in English and Spanish encouraging people to register and educating them on how to do it. Gessler’s office said the scale of the initiative is unprecedented in the state. The Republican elections chief has long had an uneasy relationship with Democrats, who accuse him of using his position for partisan gain, including a plan to check the citizenship of some registered voters. Both major parties are playing close attention to Colorado, where the presidential race is expected to be close. “On the other hand, I think it does disprove some of these accusations that unfortunately, I think, have taken on real partisan tones,” he said. The advertisements will begin airing Wednesday until Oct. 9, and some of the mailers went out last week. The ads are paid for with $850,000 in federal funds and the mailers with about $216,000 from fees that have been paid to Gessler’s office. Gessler said the outreach is designed so there’s equal coverage for everyone in the state. The voter registration effort is unlikely to quell the tension and criticism surrounding Gessler’s plan to challenge and potentially cancel the registration of voters believed to be non-citizens. During the announcement for voter outreach, Gessler said his office plans to move forward with a rule to hold hearings for registered voters whose citizenship is in doubt. He said more details would be available in the coming days. It’s still unknown how many people the rule would impact, but Gessler’s office said there are likely less than 200 registered voters whose citizenship status has not been verified. Last week, Gessler’s office said 16 out of 3,903 people they mailed letters to questioning their citizenship responded by voluntarily withdrawing their registration. Hundreds who received the letters are U.S. citizens, and 482 responded by affirming their status. Others had moved or did not respond to the letters. Gessler sent the letters to people who once showed proof of non-citizenship, such as a green card, when getting a driver’s license and later registered to vote. However, many of those people are citizens now and the search has yet to yield evidence of a case where an illegally registered voter cast a ballot, Democrats question Gessler’s political motives. Gessler maintains that his goal is to ensure voter rolls are accurate and that only eligible voters cast ballots.